New Jersey already has 1,500 miles of pipelines crisscrossing the state, and is now facing an onslaught of new, proposed pipelines. However, no comprehensive plan exists to determine whether the pipelines are even needed or in the public interest. There has been no assessment done of cumulative impacts on natural resources and communities, nor any serious consideration of better alternatives. Meanwhile, pipelines threaten the whole state. 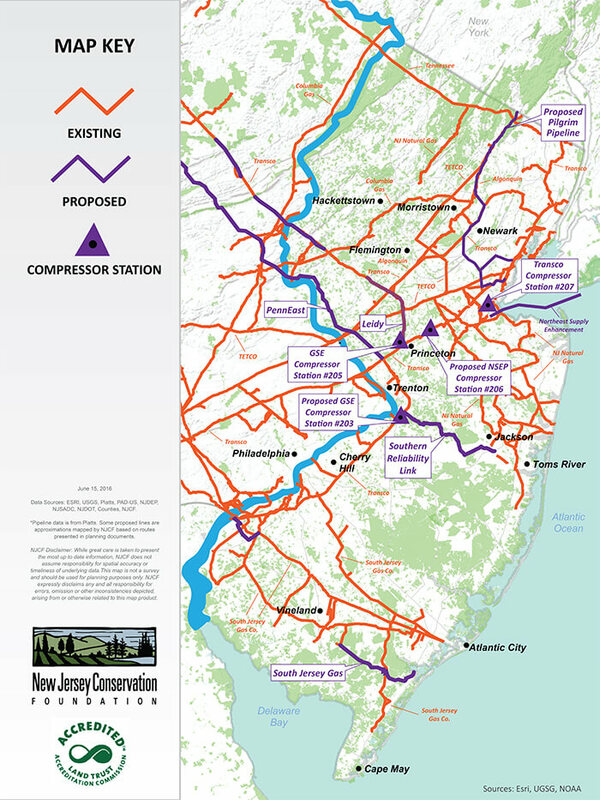 In South Jersey, the proposed “Cape Atlantic Reliability” pipeline proposed by South Jersey Gas and the Southern Reliability Link pipeline proposed by New Jersey Natural Gas threaten the nationally significant Pinelands National Reserve. In Central Jersey, the proposed PennEast pipeline would cross the Delaware Wild and Scenic River and more than 4,000 acres of preserved lands, threatening significant environmental and historic resources. In North Jersey, the Pilgrim Pipeline would connect oil terminals in Albany, New York to a refinery in Linden, New Jersey cutting through the Highlands, several major drinking water sources, and the Great Swamp National Wildlife Refuge. These risks and overall lack of planning call into question whether New Jersey needs more pipelines, which will have a serious impact on our land, water, air, health and communities. Take Action and ask your elected leaders to instead support greater investment in renewable and efficient energy!